Quality website design has the potential to transform your business. Here at Norfolk web Support based in Norwich we design and build beautiful responsive websites that will impress your customers and work hard for your business. We offer everything you need to get your website running efficiently and delivering the maximum number of visitors to your site; from web design, graphic design, photography and copywriting to hosting and search engine optimisation. Our ecommerce websites use the best ecommerce technology, enabling us to design and create effective shopping sites for all sizes of business's. 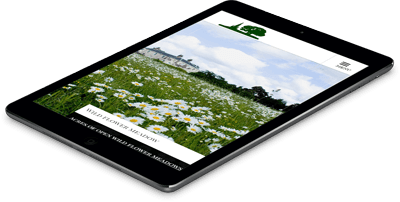 All our websites are mobile-friendly and adapt to any screen size, making sure your website looks superb on all devices. We provide fast, reliable and secure UK-based website hosting, domain name registration and email set-up. We use user friendly Content Management Systems which gives you complete control of your website or for a fixed annual fee we can maintain your website for you. "Norfolk Web Support took away our ideas and vision and made it in to an impressive, workable website. They exceeded all expectations and I would not hesitate in recommending the work of 'NWS'. Thank you!"